There’s no better way to transform your work environment in Brisbane than with living greenery. Using plants in your interior design not only invigorates a room, it creates cleaner air, more productive workspaces, and a happier team. But not everyone has the time or experience to design the indoor plantscape they want. Or the insider knowledge to choose plants that not only look good but will thrive. 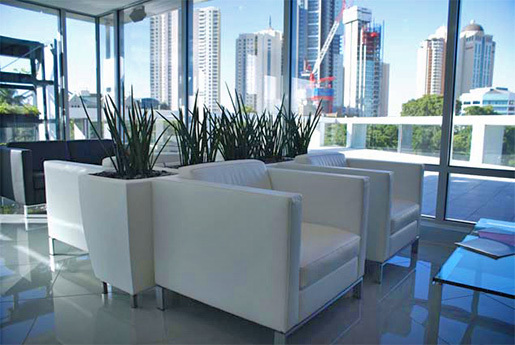 At Prestigious Plantscapes, we offer a free design consultation service for Brisbane businesses. The expertise of a professional indoor plant designer can ensure the longevity of your plants and reduce costly replacements. We only source the highest quality plants and products from local nurseries and stockists. 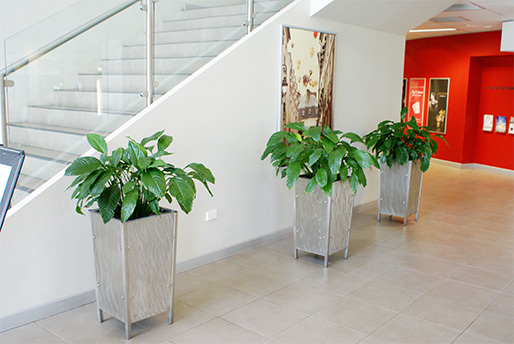 From a tropical staff break room to a unique statement piece in the lobby, Prestigious Plantscapes can help you green your space. when they arrive at your building? Plants bring life to an office environment, creating a beautiful and healthy space that people want to spend time in. Just like a painting or sculpture, greenery adds visual interest. With carefully selected plants and planters, you can enhance your business environment. Indoor plant design also has functional and practical benefits. By combining the right design elements, plants can guide foot traffic, provide privacy, divide sections of an office, and reduce sunlight, glare or undesirable views. They can be used to cool the environment and absorb loud noise. At Prestigious Plantscapes, we work with interior designers, architects and building managers to design hire plantscapes that are beautiful, sustainable and low maintenance. We’re available for consultations during the building design phase to help project managers maximise the impact of your indoor plant design. custom solutions to bring greenery into a wide range of commercial spaces. Our designers then put together a custom proposal, including product and plant recommendations and a breakdown of your investment to proceed with installation. We’ll choose the right hire plants and planters for your light conditions, traffic flow and functionality. We’ll organise delivery of plants and planters, then carefully pot and stage the plants in your space. Our plant installation team take precautions to protect your floors and furniture during installation, working discreetly and flexibly around your schedule. We’ll visit your building on a regular basis to water, fertilise, prune and treat your plants for pests and diseases. We guarantee your plants will always look their best, replacing any that fall short of our high standards at no charge to you. creating a visual and sensory experience for your customers and staff. lasting impression for your business. Contact us today for a free design consultation.